It’s Showtime! 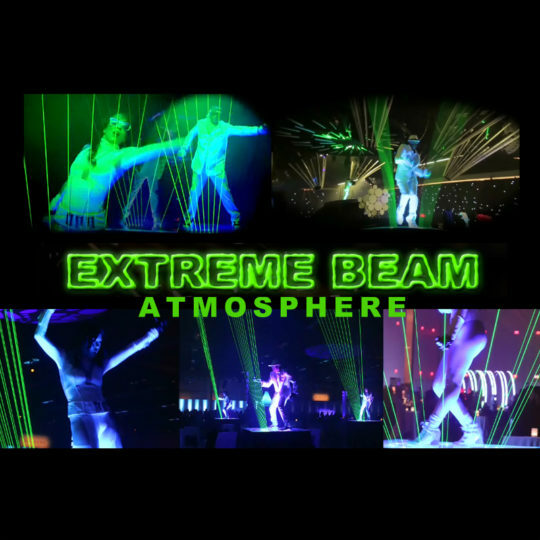 Extreme Beam Atmosphere pumps up the energy level for your party. Planners for Fortune 500 companies, associations, and fundraisers looking for an electric, visual entertainment experience for opening general sessions and gala events have made Extreme Beam’s 3 ½ minute performance one of America’s most successful choices for corporate entertainment. Now, by popular demand, T. Skorman is excited to offer an extended option specifically designed to provide that dynamic dance club atmosphere for your next party. Extreme Beam Atmosphere still includes 1, 2 or 3 performers and amazing laser effects. The differences are the length of the performance and Extreme Beam Atmosphere does not use pre-programmed music selections but works with whatever music source you are already using, including a band or DJ. Extreme Beam Atmosphere – It’s Electric!